Benne Seeds – Is There a Conspiracy? Published 6/23/2011 . Last updated 1/13/2019 . 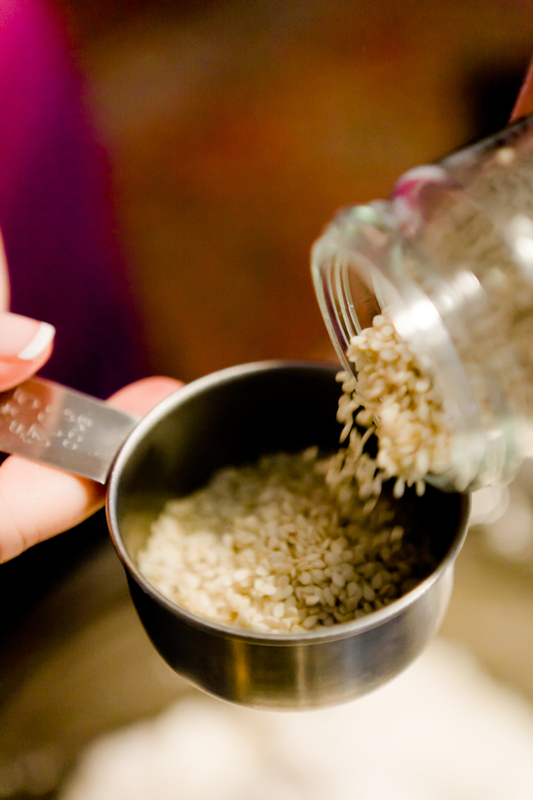 Home » Recipes » Tips and Featured Ingredients » Benne Seeds – Is There a Conspiracy? The benne seed wafer vendor at the tourist market informed me that benne seeds are seeds “very similar to sesame seeds.” “Interesting,” I thought. Not to say that I’ve heard of everything, but I was surprised that I’d never heard of benne seeds before. Later that same day, Jonathan and I went to Husk for lunch. If you are ever in Charleston, I highly recommend both Husk and McCrady’s (one of the best meals that I’ve ever eaten!). Lunch service was fairly slow at Husk so our server had time to chat. “Can you tell me anything about these benne seeds that I’m seeing everywhere?” I asked. He was happy to explain that benne seeds were popular in Africa and brought to the United States by slaves. “That’s how they came to be so common in Charleston. It’s also the reason that we use benne seeds on our lunch rolls.” I had no idea that I had just eaten benne seed rolls! Neat! I thought that they were plain, old sesame seed rolls. I renewed my resolve to use benne seeds in my cupcakes! I knew that I would be going to the Marion Square Farmers’ Market in a couple of days and I was sure that someone there could tell me where to buy benne seeds – maybe there was a vendor there who sold them. I wondered if perhaps in Charleston, benne seeds could be found in your everyday grocery store. The guys at the Charleston Spice Company were friendly and full of information, so I decided to ask them. “Where can I buy benne seeds?” “Benne seeds are just sesame seeds,” they told me with confidence. It couldn’t be! Using the term benne seeds is a Charlestonian conspiracy to get tourists to buy sesame seed wafers that they otherwise wouldn’t purchase – genius marketing at work. The term “benne seed” is something that I should have known about. It’s just a regional difference like saying “pop” vs. “soda” that everyone is aware of. As you might guess, I prefer theory one. What’s your take? Did I Use Benne Seeds In My Charleston-Themed Cupcakes? You bet I did! Look for the cupcake post soon!